BUSINESS leaders from companies large and small were revved up when they attended a special event at the headquarters of World Rally Champions M-Sport on 20th March. 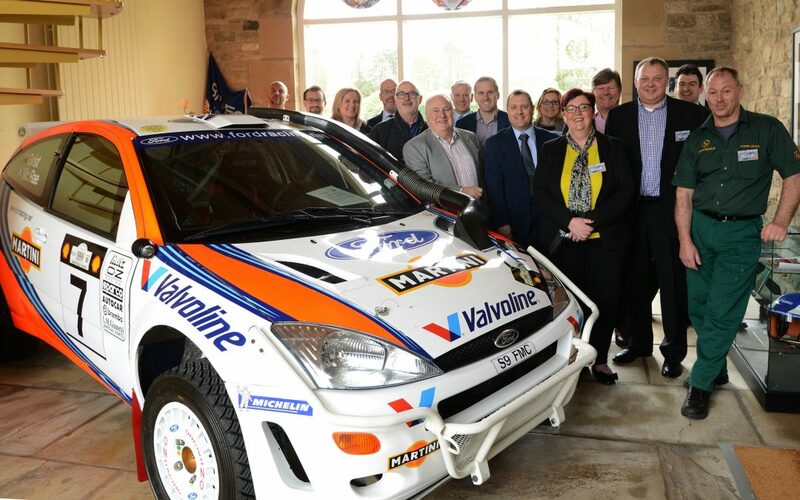 The event was the latest in a collaborative series organised by leading Cumbrian legal firm Cartmell Shepherd and they partnered with insurance broker Jelf, as both companies have offices alongside M-Sport in the grounds of Dovenby Hall. Sue Howorth, founder of The Family Business Network was asked to co-host the event by network partners, Cartmell Shepherd as well as leading an inciteful Q&A session. Joanne Stronach, Head of Employment Law at Cartmell Shepherd said the variety of businesses that attended the event was indicative of the county’s diverse economy, adding: “It was a very enjoyable day and I’m very pleased that we had businesses here from a variety of sectors, from professional services to manufacturing and production. Changes to tariffs on imported goods, Brexit-proofing contracts and dealing with complications which the UK’s exit from the EU may bring about were all topics on the agenda in a session led by Cartmells. There were also a number of sector-specific focuses, taking in the areas of agriculture, food and drink and haulage, while employment law and the effect Brexit might have on companies in the county was explored. Undoubtedly, it was the tour around the technology-laden base of motorsport giants M-Sport which stole the show. Delegates enjoyed a behind-the-scenes glimpse of what makes the world-beating company tick. From a museum which showcases some of the greatest cars the company has ever built, to a clinical laboratory where engines are meticulously stripped back, cleaned, and rebuilt, visitors were given a unique insight into a global industry plying its trade from a remote location in Cumbria. For M-Sport business development manager, Andrew Wheatley, opening the doors of the company HQ to visiting delegates is a pleasure. He said: “As a business, not so many people understand what we do and the breadth of engineering facilities we’ve got here at Dovenby are potentially more than people might first have imagined.